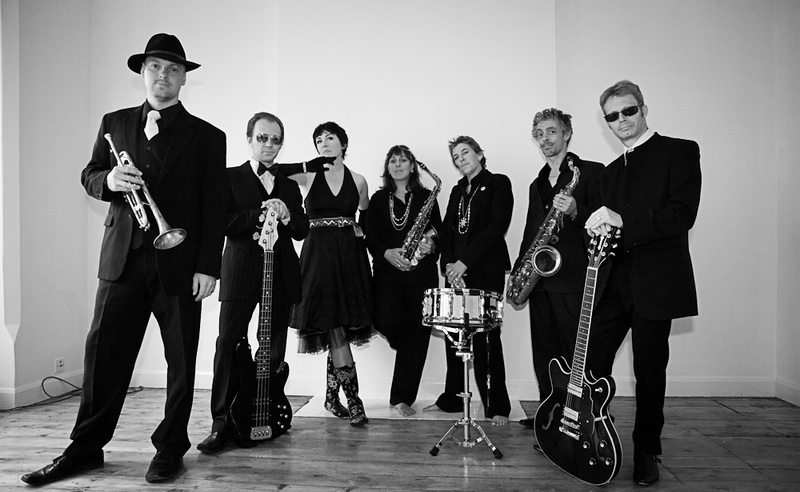 Sticky Morales, acclaimed Soul Sensation, are an authentic 8 Piece party band appearing at public events, private parties, weddings and corporate events nationwide. We play a selection of popular hits from Disco to Deep Funk, Northern Soul, Motown, R & B, Reggae and Classic Soul from across the decades. Comprising renowned professional musicians with a full Horn section, we have selected a wide variety of music and arranged them to give a unique and authentic sound that our audiences love. Fronted by Soul Queen Miss Rachel P (of US Billboard Chart-Toppers Weekend Players fame) and complemented by our legendary 3 piece horn section (The Funky Sticky Horns), Sticky Morales always fill the dance floor with happy dancers. Just wanted to say how pleased we were that you were able to perform last Friday. You were absolutely fantastic.. We all enjoyed ourselves so much we didn't want it to end. It was certainly a night to remember! Could you pass on our thanks to the rest of the band.. Amazing.. We've had an enormous amount of positive feedback from our guests... Thank you so much..
From Lynne & Lindsey - for whom life has begun at 40! You and the band did us sooooooooooo proud I can't thank you enough............everyone commented on how brilliant you were and I think you could see how much we all enjoyed your music and performance. I feel as if SM are a bit of a sound track to some of my best times in Nottingham over the years. You were all absolutely excellent and made my party very special and memorable, as my husband Paul would say 'you rule'. "I booked Sticky Morales for our Christmas Party on the strength of only seeing them play once before. Everyone at work thought they were great and much better than just having our normal disco. I have provisionally booked them for our Christmas Party again this year on the recommendation of my colleagues"